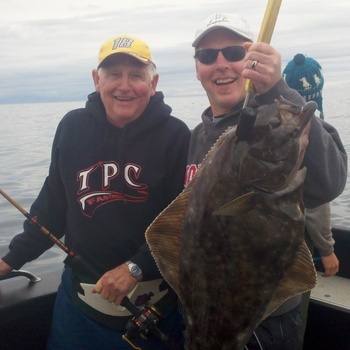 Halibut fishing in Cook Inlet and Deep Creek has only been truly popularized in the last 25 years or so. 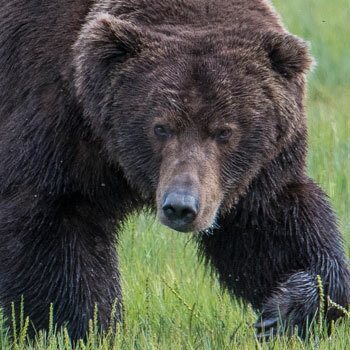 When Great Alaska started out, we were launching small boats into the surf ourselves behind our 4 wheel drive Suburbans and trucks. 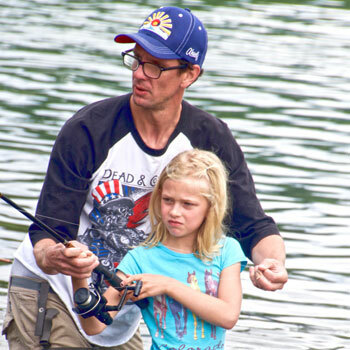 Fear of swamping the rig kept the boats small and the process quick! But in the late '90's, when the launching services began operating, we were able to launch larger and larger boats...thus allowing us to access farther and farther from the beach. 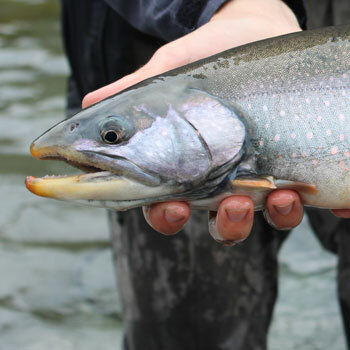 We still generally fish fairly shallow water and "work the tides" to keep our baits on the bottom during and around the slack tides - making for really enjoyable fishing with sometimes only 12-24 ounces of lead in only 100 to 150 feet of water! When the tides aren't in our favor as much, we'll have to use a lot more and the fishing time may be pretty short...but it's always fun and the fishing is typically outstanding. 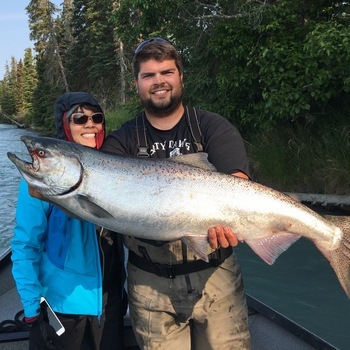 Great Alaska Adventure Lodge targets Halibut on the West side of the Kenai Peninsula, in Cook Inlet (often combining trolling for King salmon with bottom fishing for the tasty Halibut). We use our fuel-efficient 29 foot offshore Hardtop the "Stellar" for quick runs to the grounds and lots of fishing space. 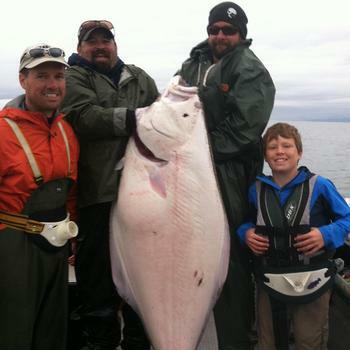 In the early season, the Halibut move into the shallower water to breed and we are often fishing in as little as 75 feet of water- with the snow capped volcanoes surrounding us and the sparkling waters of Cook inlet this makes for a truly memorable day of fishing. The sandy bottom of Cook Inlet make for a unique day of bottom fishing...unlike the east side of the Kenai Peninsula, the bottom structure here tends towards halibut only, so 90% of the fish we catch on these trips are Halibut, with true cod and the occasional skate combining with catches averaging 20 -45 pounds per fish. 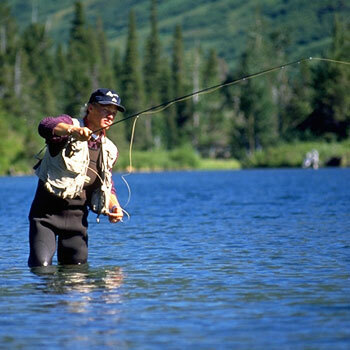 Limit is two per angler per day. 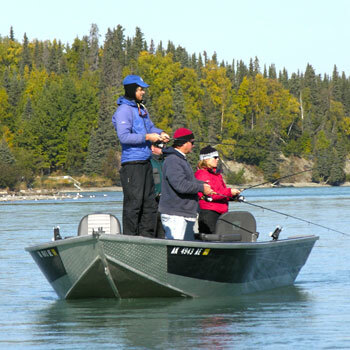 With no marinas on the west side of the Kenai Peninsula between Kenai and Homer, for decades Alaskan's have been fishing these legendary waters by launching our boats directly into the surf...when GreatDeep Creek Boat Launch Alaska Adventure Lodge first began (then "Great Alaska Fish Camp') we fished out of small car-topper boats, 14 foot inflatables and eventually our 20 foot river boats, launching behind our own trucks. The stories we could tel would curl your hair.....but times have changed! We now fish 23 - 29 foot custom aluminum powerboats and utilize a launching service behind massive 4 wheel drive "uber tractors" known in the Pacific Northwest as "Log Skidders". The experience of getting in the boat and having the tractor back you down to the water and launch us is on you will always remember.